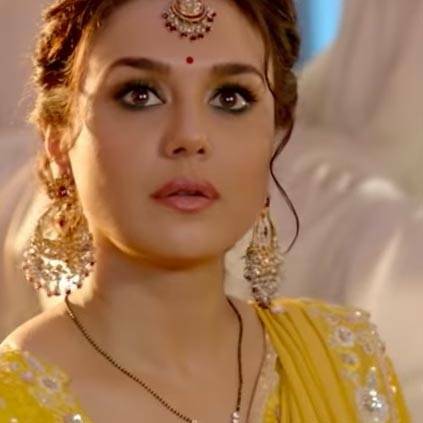 PREITY ZINTA IS BACK - CHECK OUT HER NEW FILM TRAILER! Bhaiaji Superhit is an upcoming action comedy Hindi film directed by Neerraj Pathak and produced by Chirag Dhariwal. The film features an ensemble cast including Sunny Deol, Preity Zinta, Ameesha Patel, Arshad Warsi, Evelyn Sharma, and Shreyas Talpade. Its music will be presented by Zee Studios. The film is all about a Varanasi based Don who dreams of seeing himself on the big screen. To facilitate this mad affair, he seeks the services of Arshad Warsi and Shreyas Talpade who are playing a director and a writer respectively. Ameesha Patel plays an actress and Preity Zinta, a small-town girl, and Sunny's wife tries to emulate her. People looking for online information on Bhaiaji Superhit, Preity Zinta will find this news story useful.